When decorating, the color navy pairs well with neutral colors like cream. The colors in this combination compliment each other, and will make the navy pop. This is a striking decorating idea for any space. 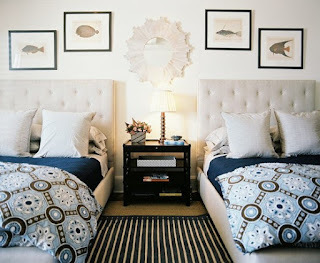 For more ideas visit www.cheapchicdecor.com.